To build a thriving organization, physicians leaders can’t overlook the importance of a cohesive marketing strategy. An industry expert offers advice. For empowered health care consumers, physicians remain a well-regarded source of information and guidance. Yet when it comes to seeking out that information, the patient journey to find physicians and treatments can be nonlinear and sporadic. In fact, a 2016 McKinsey and Co. health insurance study found that while patients ranked selecting a provider as their most important health care-related journey, it was also the one where they expressed the least satisfaction, potentially because of the difficulty involved in finding the right doctor. By connecting prospective patients with the right information through the right channels, physicians can better serve key markets, while driving sustainable success. 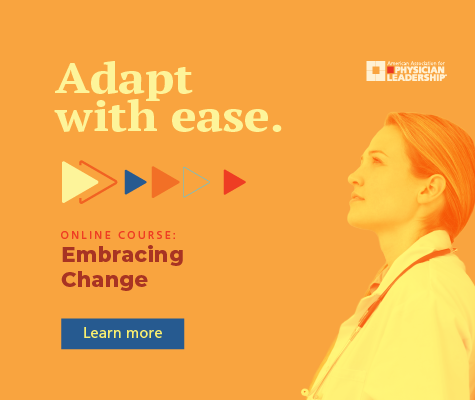 While savvy physician leaders understand the importance of promoting their work, many don’t know where to start or simply don’t have the bandwidth to devote to it. As a result, they take a reactive approach to marketing, and much of their remarkable work goes unnoticed. Not only is this detrimental to business, but it is also a disservice to potential patients looking to learn about the latest and greatest in patient care. By connecting patients with their valuable work, physicians can establish patient relationships that support better clinical outcomes as well as business performance. Here are five easy steps physicians and their leaders can work proactively with their marketing teams. Align business and marketing goals with clinical priorities. Before physicians meet with their marketing teams or even engage with a marketer, they need a clear understanding of their clinical strengths. Think about any underused subspecialties or areas for growth in your system, as well as related content that will interest patients. For example, if a gastrointestinal practice wants to boost the number of colonoscopies booked, educational materials on exam prep and patient testimonials can help build trust with potential consumers. After identifying clinical priorities, clearly defining marketing goals and what marketing success looks like is key. If your goal is to attract new patients, for example, consider your total patient capacity and the expected billing value of each one. Crunching those numbers before rolling out a campaign can help organizations better assess if they’re spending marketing dollars wisely. Make your content understandable and accessible. Few things turn patients off faster than complicated medical jargon they can’t understand. When prospective patients are seeking advice or information, they need easily digestible answers. While it can be tempting to turn to terminology-laden explanations, using complex language can interfere with a physician’s ability to connect with patients effectively. Humanizing content with patient testimonials, approachable language and a friendly tone goes a long way toward engaging prospective patients. If your budget allows, video can be a particularly effective way to explain procedures, treatment differentiators and patient results clearly and leave a lasting impression. Help patients find you with a multichannel marketing strategy. Your patients are everywhere, so you should be, too. Today’s health care consumers often engage with multiple platforms as they seek health care information, with health-related search traffic growing on the web and social media. As patients go digital for their health care information, diversifying your marketing strategy can help you meet your goals by meeting consumers where they are. When exploring digital marketing avenues, first make sure your website is optimized for mobile. This not only will improve the online experience for potential patients while they are on the go, but also will help the performance of your marketing efforts. With health-related lookups growing on search engines and social media, a multimedium strategy is more critical than ever. Reputation is a huge part of the patient’s journey. When looking for a new medical provider, referrals can often help turn a prospective consumer into a paying patient. That’s especially true for younger patients; a 2015 survey of 3,000 people by the health care technology firm Nuance found 70 percent of patients ages 18-24 chose a primary care doctor based on recommendations from family and friends, compared with 41 percent of patients 65 and older. On the flip side, a negative reputation can cost you credibility and patients. According to a Digital Assent study in 2013, 85 percent of patients wouldn’t feel comfortable choosing a clinician if more than 10 percent of their reviews were one-star ratings. As a health care provider, making sure that word of mouth works in your favor is a key part of an effective marketing strategy. With review sites like HealthGrades, ZocDoc and even Google giving people a window into your practice, encourage your own patients to share their experiences online. If patients are willing, sharing written or video testimonials is also a powerful way to showcase your capabilities. In addition, work with your marketing team to monitor your online presence and address any negative feedback from patients promptly and honestly. Keep communication ongoing and content fresh. The more patients know about your practice, the more effectively they can use your services and refer others. 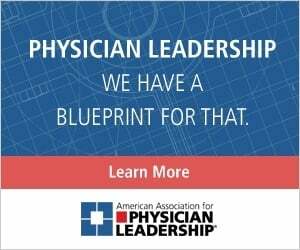 Keep them updated by email, social media and other channels about new physicians, services, technology advancements, office specials and other practice updates. In addition to regular patient communications, review your marketing content regularly to ensure you’re still working toward the right goals. Updating pay-per-click ads, social ads, SEO keywords and other assets as subspecialties or services change will help ensure you’re drawing the right kind of traffic. For example, if your orthopedics practice is now focusing on total knee replacements rather than general orthopedics visits, modify your content and keywords accordingly. If your practice reaches capacity, consider refocusing your marketing strategy on building your brand and promoting content as opposed to driving new leads. Vanessa Vollman O’Donnell is director of the national health care division for California-based ReachLocal, where she manages strategies and campaigns for multilocation health care systems. Here are four ways to lead a group discussion and draw out an insightful information exchange.